View of The Arboretum showing Waverley Street gates and refreshment rooms, 1852. The Nottingham Arboretum was created in response to a public petition and a campaign in local newspapers. It was inspired by the development of urban parks and arboretums elsewhere, and was formally opened in 1852 to great acclaim. Designed by Samuel Curtis (1779-1860), its purpose was to promote Victorian middle-class values of ‘rational recreation’ by encouraging a botanical interest in trees and shrubs, and giving the people of Nottingham the chance to enjoy nature close to their homes. Initially, an entrance fee was charged on four days a week but there were protests that this was unfair on the poorer members of society, particularly as The Arboretum had been paid for out of public funds. Eventually all charges were lifted except on 12 days a year for special events. The Arboretum quickly became a favourite venue with families. Statues of Nottingham’s Chartist MP Feargus O’Connor and local philanthropist Samuel Morley were erected. Elaborate flower beds were laid out, a rose garden was created (now lost), and the former Balloon Field, were Montgolfier balloons had been launched, became tennis courts. 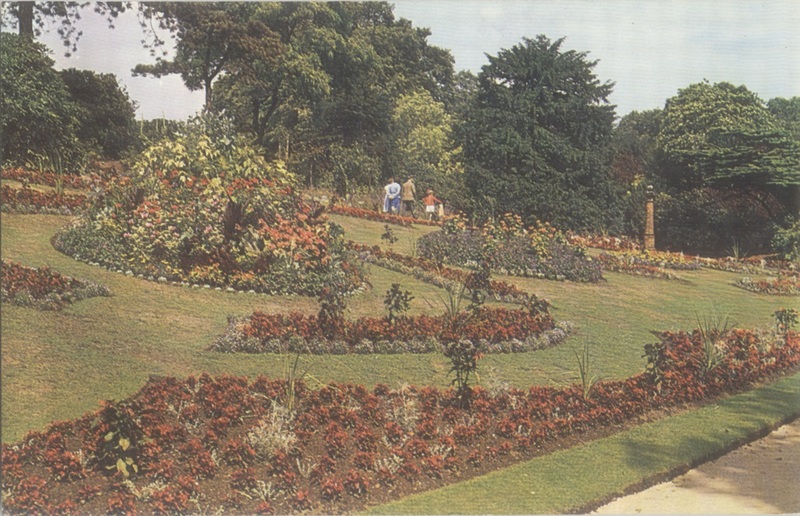 It also hosted events, such as flower shows, concerts, illuminations, festivals and fetes. Today it hosts Nottingham’s annual Green Festival. 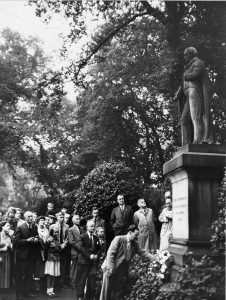 Nottingham Trades Council and Nottingham Hosiery Finishers laying a wreath in 1952 by the statue of Feargus O’Connor, Chartist MP for Nottingham (1847-52), to mark the centenary of his death.